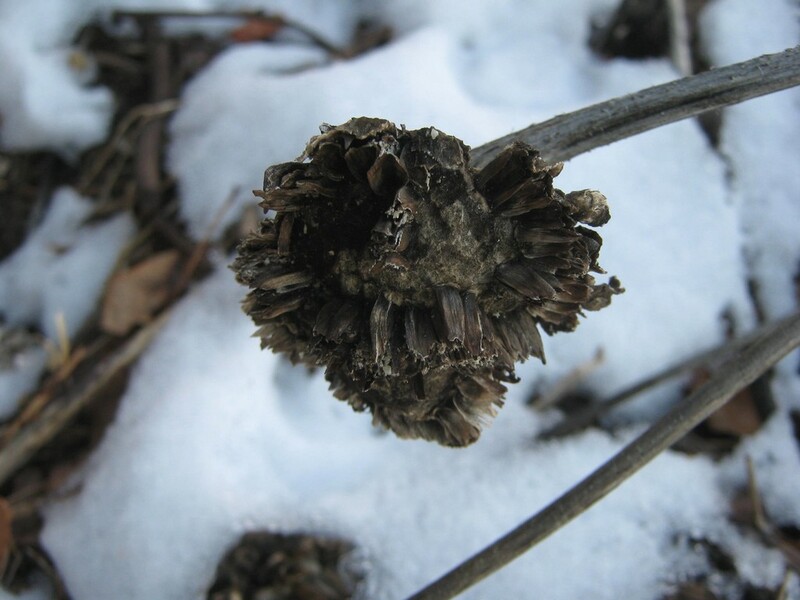 Sunflower seed head still has some left for the birds. Last fall, I cut down all the volunteer sunflowers that had grown in my community garden plot, and brought them home. I propped them at the top of the backyard, hoping the birds would appreciate them. This morning, I finally saw that they do! A few chickadees were picking on the sunflower heads. It’s nice to see a natural food source work out. By the way, you may have noticed that I’ve been tweaking a few things around the edges on this blog. I’ve returned to the original name, “Writing Every Day”. Since I’ve taken up the challenge to write a story a week, I will blog about my writing. This will continue to be the place where I write about whatever else interests me, such as reading, cooking, and gardening. With one big exception: bees! I’ve launched a new blog about bees, “Native Bee Ranching.” This is where I discuss why bees are important, how they live, and what you can do for them. So if you’ve enjoyed my previous writings about bees, especially the native bees, I hope you’ll check it out.